Senior fellows are appointed and selected based on their collaboration with I3h; they provide support to I3h activities which include the educational program, the reading seminars and various research projects. Gani Aldashev is Professor of Economics at the Université libre de Bruxelles and research fellow at the European Center for Advanced Research in Economics and Statistics (ECARES). He received B.A. in International Economics from the American University of Paris, and M.A. and Ph.D. in Economics from Bocconi University (Milan). His main research and teaching fields are development economics, political economics, and economic history. His main research expertise concerns decentralized development aid (in particular, the economics and organization of the NGO sector), the role of traditional institutions in development, as well as the political economics of public health policies. He has published in international journals such as Proceedings of the National Academy of Sciences of the USA, Journal of the European Economic Association, Economic Journal, Journal of Development Economics, Journal of Economic History, and Journal of Public Economics. He is a full member of the European Development Network (EUDN), associate member of Theoretical Research in Development Economics (ThReD) Network, and a founding member of the Nonprofits, Governments, Organizations (N.G.O.) Research Network. Professor Antoine Bondue received his medical degree from the “Université Libre de Bruxelles” (Belgium) in 2001. During his fellowship in cardiology, he studied the molecular mechanisms governing early cardiovascular development in the laboratory of Cédric Blanpain (Interdisciplinary Research Institute – Free University of Brussels – ULB, Brussels) from 2005 to 2012. He acquired his PhD degree in 2009, and performed a postdoctoral fellowship thereafter supported by the Belgian FRS/FNRS. His works addressed the role of the early mesodermal transcription factor Mesp1 as a key regulator of cardiovascular progenitor specification, and characterized the cellular and molecular hierarchy acting during the initial steps of cardiovascular development. By this work Professor Antoine Bondue acquired an expertise in cardiovascular development and in stem cell biology. As a cardiologist, he further worked in clinical cardiovascular genetics, and run a medical activity centered on cardiovascular genetics within the Centre for Human Genetics of the Free University of Brussels (ULB, Brussels). 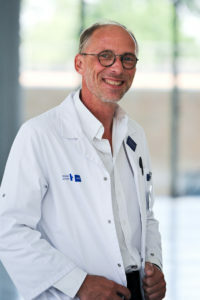 Professor Antoine Bondue is the head of the Department of Cardiology of the Erasme Hospital in Brussels (ULB, Brussels). His main research interests are now focused on congenital heart disease, cardiovascular genetics and pulmonary hypertension. He is the current president of the Belgian Working Group on Adult Congenital Heart Disease (Belgian Society of Cardiology), and is a fellow of the European Society of Cardiology. 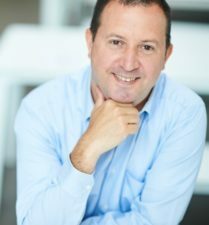 Ruben Casado Arroyo, MD, PhD, MSc is professor and the director of the Cardiac Electrophysiology Laboratory CUB Hopital Erasme, Université Libre de Bruxelles. Prof Casado Arroyo areas of special interest are cardiac arrhythmias (atrial fibrillation, atrial flutter, atrial tachycardia, ventricular tachycardia, ventricular fibrillation, Brugada syndrome, Long QT); computer methods in cardiovascular image processing, computational knowledge discovery, artificial intelligence, intelligent data analysis, bio-signal processing, signal modelling, predictive models development, e-health and mobile applications, and communications within and between hospitals. He obtained his PhD at the Vrije Universiteit Brussel under the supervision of Prof Pedro Brugada. He also holds a master in Health Economics, Policy and Management (London School of Economics) and he’s developing some research projects in the field of cardiovascular diseases and cost-effectiveness evaluation. The innovative work of Prof Casado Arroyo’s multidisciplinary team has been focused on the design and selection of personalized cardiovascular treatments based on the analysis and characterization of each patient’s heart rhythm disturbance. The final objective is to improve cardiovascular outcomes and quality of life of patients. He is a fellow of the European Society of Cardiology (ESC) and currently he is nucleus member of the ESC, secretary of the working group on e-cardiology. Micael Castanheira is Directeur de Recherche at the Belgian National Science Foundation. He obtained his Ph.D. in Economics from the Université Libre de Bruxelles, has been a post-doctoral fellow at Bocconi University (IGIER, 1997-1999) and a visiting fellow at NYU (economics department, 2014-2017). His research focuses mainly on political economics and economic policy, one application of the latter being competition in the pharmaceutical market. He also worked on economic reforms (tax, pensions, institution building). Besides numerous publications, including in top economic journals (Econometrica, Journal of the European Economic Association, Economic Journal, Games and Economic Behavior, Journal of Public Economics…), he co-authored Reforms without Prejudice at the Oxford University Press, Réformer sans Tabou, at De Boeck editions, as well as articles on tax reforms in International Tax and Public Finance, and Reflets et Perspectives de la Vie Economique. He also acted as an economic expert for a multinational enterprise, for the OECD, and for the World Bank. He sits on the scientific board of the National Bank of Belgium and of the Belgian Price Observatory, and testified before the Belgian Parliament for the select committee on tax reforms. Thomas Demuynck has a Phd in Economics from Ghent University (2008). He held a Postdoc position at the K.U.Leuven from 2009 until 2013 and held a position at Maastricht University from 2013 until 2016. Currently, he is Chargé de Cours at the Université Libre de Bruxelles at the Solvay Brussels School of Economics and Management (SBS-EM). He is also a member of the European Center for Advanced Research in Economics and Statistics (ECARES), a member of the Group for the Advancement of Revealed Preference (GARP) and a co-PI for the EOS funded research project: “Individual Welfare Analysis based on Behavioral Economics” (IWABE). His main research involves applying revealed preference theory to various models of individual and joint decision making. 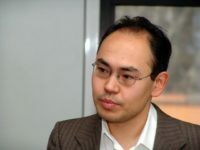 He has published around 30 papers in international journals, including American Economic Review, Review of Economics and Statistics, American Economic Journal: Microeconomics, Journal of Economic Theory, Journal of Mathematical Economics, International Economic Review, Economic Journal, Journal of Econometrics, European Economic Review, Journal of the European Economic Association, Journal of Development Economics, Mathematical Social Sciences, Operations Research and Theory and Decision. Victor Ginsburgh obtained his PhD in Economics at ULB. He was professor at ULB where he thought mainly economic topics, but also financial and cost accounting. He became emeritus in 2004 but remains a research fellow at ECARES (which he joined in 2000 and co-directed from 2002 to 2009). He has also been Faculty member at CORE, Université catholique de Louvain since 1972. He was invited as visiting researcher/professor at Yale University, University of Chicago, University of Virginia, University of Louvain, Université de Liège, as well as in Marseille, Paris, Strasbourg and Alexandria (Egypt). He is the author or coauthor of over 200 papers on topics in applied and theoretical economics, including industrial organization, general equilibrium analysis and the economics of scientific publishing. His more recent interests are the economics of languages, as well as art history and philosophy, and wine economics. He has published 60 papers on these topics, some of which appeared in American Economic Review, Journal of Political Economy, Games and Economic Behavior, Journal of Economic Perspectives, European Economic Review, Economic Journal, and the Journal of the European Economic Association. He also has papers in the Journal of Development Economics, Journal of Mathematical Economics, Journal of Economic Theory, International Economic Review, Econometrica, Mathematical Programming, and Operations Research Letters, among others. He wrote and edited 15 books (among which The Structure of Applied General Equilibrium Models (MIT Press, 1997, with M. Keyzer) and How Many Languages Do We Need (Princeton University Press, 2011, with S. Weber). He is coeditor of the two volumes of the Handbook of the Economics of Art and Culture (Elsevier-North Holland, 2006 and 2013, with D. Throsby) and of the Handbook of Economics and Language (Palgrave, 2016, with S. Weber). Paula Gobbi is Assistant Professor of Economics at Université Libre de Bruxelles. She is also affiliated with ECARES and is a research fellow at CEPR. She holds a PhD in Economics from the Université catholique de Louvain. During her PhD, she visited Northwestern University during the winter of 2002. 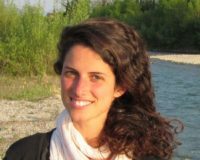 She was also a post-doctoral researcher at the Paris School of Economics and an FNRS research fellow between 2013 and 2017. Her research fields are family economics, development and economic growth with a particular interest on the links between economics and the demography. She has published in international journals such as Canadian Journal of Economics, Journal of Development Economics, Journal of Demographic Economics and Journal of Population Economics. An important contribution of hers is “Fertility and childlessness in the United States” (American Economic Review, 2015, with Thomas Baudin and David de la Croix) where she looks at the economic reasons of childlessness. Lynda Grine is a doctor-assistant at the Ghent University and a senior researcher at the Ghent University Hospital. side effects of TNF-antagonists, and the impact of the gut in a topical skin model. reviewed publications in several journals in the field of dermatology, clinic and molecular inflammation. of the Future Leaders in Dermatology in 2018. 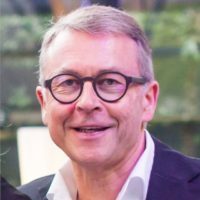 Michel Hanset, MD, is a general practitioner with keen interests in the treatment of elderly people with neurodegenerative conditions and in health economics. He is senior lecturer at ULB where he gives courses on general practice and pharmacotherapy to medical students. Michel Hanset also serves as coordinator of several long term care institutions and is a member of Farmaka, a non-profit organization dedicated to healthcare education. Samia Laokri holds a PhD in the field of global health economics. 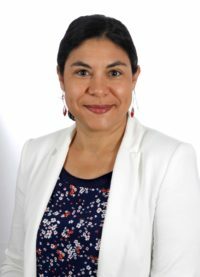 She is currently serving as an assistant professor at the school of public health of the Université Libre de Bruxelles, Belgium and is adjunct assistant professor at Tulane University, USA. She graduated in economics and then specialized in pharmaco-economics and public health. As a doctoral researcher, she developed a novel protocol to assess the cost of illness from the user’s perspective. Later, she completed her expertise in health economics as a postdoctoral Hoover fellow from the Belgian American Educational Foundation at Tulane University, USA. 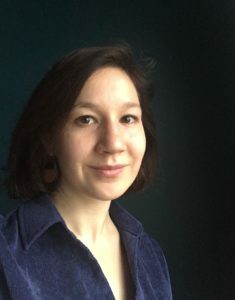 Driven by a keen interest in interdisciplinary, she joined the I³h senior fellowship program of the Institute for Interdisciplinary Innovation in healthcare. Her research interests involve health equity and, social and financial protection measurements. She endorses a multidimensional approach to analyze health financing for the development of sustainable health systems. Throughout her academic career, she authored several publications on health system and policy performance and collaborated internationally. For instance, removing user fees for a defined care package may fail at reaching the desired outcomes when not applied with system thinking. Among others, three publications reflected on the effect of system complexity on health care. A publication in the Bulletin of the World Health Organization (2013) revealed high incidence of catastrophic health expenditure within a free-of-charge disease control strategy. A care pathway analysis study in Plos One (2014) highlighted the direct costs and critical stages to tackle for improved health. Likewise, collaborative practices and evidence informed policy opportunities for effective care coverage were explored in Frontiers Medicine (2017). Access to health for all stands at the heart of her research, technical assistance, mentorship, training and teaching activities. Patrick Legros holds a doctorate in economics from Paris University and a Ph.D. in social sciences from the California Institute of Technology. He is a Professor of Economics at the Université Libre de Bruxelles and Distinguished Professor of Economics at Northeastern University; He is a fellow of ECARES and of CEPR. 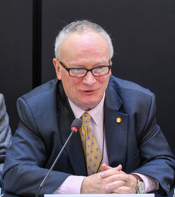 He is currently the managing editor of the JOIE and is a member of the European Advisory Group on Competition Policy at the European Commission’s DG Competition. His research interests are in applied microeconomics, with an emphasis on contract theory, industrial organization and information economics. His current research benefits from the financial support of the ERC. His work has been published in Econometrica, Quarterly Journal of Economics, American Economic Review, Review of Economic Studies, Journal of the European Economic Association, Review of Economics and Statistics, American Economic Journal: Macroeconomics, Journal of Law, Economics and Organization, Journal of International Economics, Journal of Economic Theory, Games and Economic Behavior, Rand Journal of Economics, International Journal of Industrial Organization and Journal of Industrial Economics, among others. Alain Le Moine, MD, PhD is the head of the nephrology department at the Erasme Hospital, Université libre de Bruxelles. After a training in nephrology at the Erasme and Necker hospital (Pr J.P Grünfeld), he did his PhD in immunology of allograft rejection with Prs. M. Goldman and D. Abramowicz. Next, he joined the laboratory of Pr H. Waldmann in Oxford University for a postdoctoral stay abroad, working on allograft tolerance and regulatory mechanisms. He got a position of research associate at the National Fund for Scientific Research (FNRS) working on regulation of T-cells, inflammation and alloreactivity with a small research team of young enthusiastic MD PhD students at the Institute for Medical Immunology, ULB. In 2008, he joined the clinical team of nephrology at Erasme hospital still continuing some research activities the IMI-ULB. He is now president of the French Society of Transplantation. He also teaches bioethics and deontology and gives some lectures of immunology at the faculty of Medicine (ULB). 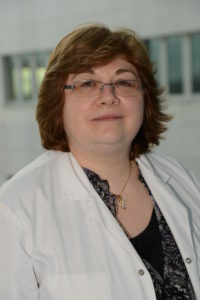 Joëlle L. Nortier completed her PhD in experimental nephrology from the Université libre de Bruxelles (ULB), Brussels, Belgium in 1997. As a nephrologist and researcher, she aims to develop translational projects in relation with natural and synthetic nephrotoxic agents (in vitro and in vivo models) as well as strategies of renal protection. She has published more than 100 papers in reputed peer-reviewed journals. She is currently teaching pharmacology at the Faculty of Medicine, ULB, Brussels, Belgium. In this matter, she is involved in the implementation of patient partnership in teaching but also in clinical nephrology practice. Roland Pochet holds a PhD in biochemistry from Université libre de Bruxelles. He is honorary Professor of cell biology at the Faculty of Medicine (ULB) and a neuroscientist whose main topic is stem cell transplantation on a rat model for Amyotrophic Lateral Sclerosis. He spent 2 years a the Hebrew University of Jerusalem as an EMBO predoctoral fellow (1975-1076), in 1984 was a Nato fellow at Vanderbilt Univesity, Nasshville. He is currently a member of the executive committee of the Belgian Brain Council. He was chairman (2002-1010) of the Biomedicine Domain of the international organisation COST, evaluator for the European Commission of FP7 Regpot (Regional potential) projects. Furthermore, he is a member of EDAB (European Dana Alliance for the Brain) and sits on the board of the Bureau Europe Grand Est. in Brussels. 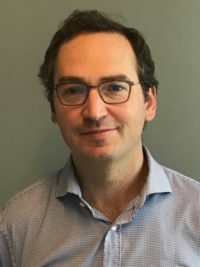 Bruno van Pottelsberghe is Full Professor at the Solvay Brussels School of Economics and Management (SBS-EM), at Université libre de Bruxelles (ULB) and, as holder of the Solvay S.A. Chair of Innovation, teaches courses on the economics and management of innovation and intellectual property. His research focuses on patent systems, the valuation of patents, and science and technology policies, and has been published in several international scientific journals, including Research Policy, Journal of Public Economics, Review of Economics and Statistics, and Industrial and Corporate Change. The research projects he works on are mostly applied and frequently inspired by his professional experience: papers on academic patenting and technology transfer offices by his chairmanship of the ULB’s Technology Transfer Committee (since 2004); papers on patent systems by his Chief Economist position at the European Patent Office in Munich (2005-2007); papers on the effectiveness of science and technology policies by his experience at the OECD Directorate for Science, Technology and Industry (DSTI) in Paris (1997-1999). His work on international and interindustry R&D spillovers was ignited by his visiting research position at the Research Institute of the Ministry of External Trade and Industry Research Institute (METI/RI) in Tokyo in 1995. Bruno van Pottelsberghe held Visiting Professor/Researcher positions at Columbia University (NYC, 1996), Stellenbosch University (Cape Town, 2003), Hitotsubashi University (Tokyo, 2003). 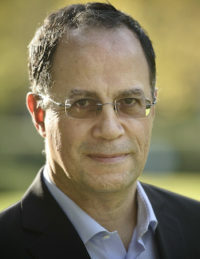 He was Dean of SBS-EM (April 2011 – September 2017) and, in this capacity, initiated and chairs the QTEM Master network (Quantitative Techniques for Economics and Management), a global network of universities focusing on such analytical techniques. Philip Verwimp is a Professor of Development Economics at Université libre de Bruxelles and a Fellow of ECARES. He holds BA, MA and MSc degrees in Economics and Sociology from the universities of Antwerp, Leuven and Göttingen. He obtained his PhD in Economics in 2003 from KU Leuven where his doctoral work was supervised by prof. Stefan Dercon and prof. Lode Berlage. Philip specialized in the economic causes and consequences of conflict at the micro-level. He has done quantitative work on the death toll of the genocide and on the demography of post genocide Rwanda. 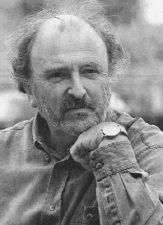 In 2004 he received the Jacques Rozenberg Award from the Auschwitz Foundation for his dissertation. 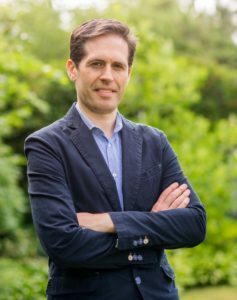 He spent 1,5 years at Yale University, first during his PhD as a Fellow of the Belgian-American Educational Foundation and then as a post-doc with a Fulbright-Hays Scholarship. He is the co-founder and co-director of the Households in Conflict Network (www.hicn.org). 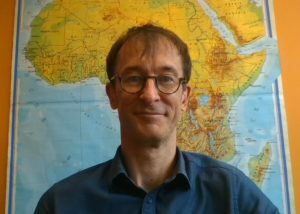 Philip joined ULB in 2010 as the holder of the Marie and Alain Philippson Chair in Sustainable Human Development at the Solvay Brussels School of Economics and Management. He is engaged in longitudinal studies of health, schooling and nutrition as well as impact evaluation in developing countries. His work has been published in the American Economic Review, the Journal of Human Resources, Economic Development and Cultural Change, the Journal of Development Economics, among others.